Clipping path is the Photoshop technique, which used with the Pen Tool for removing the background from the picture. Clipping path is usually used when the subject of the image has sharp and smooth edges. This lets the clipping path to stay straight, satisfying the client's desire to get a quality result. It does not matter who you are - a retailer, an ecommerce business owner or a professional photographer, because in any case an outstanding image of the product is an indispensable attribute of a successful online business project. Photoshop clipping path plays the main role here. As a photo retouching service, we are all about helping people enhance their photographs. For this, we need professional photo retouchers. If you are interested in finding a clipping path job online, show your skills, experience and passion for creativity, send us your resume right now. Product photos are often used by various organizations and individuals engaged in the business of advertising, e-commerce, design etc. These clipped images can be used at catalogues, magazines, newspapers, brochures etc. The pen tool allows you not only to provide high quality results, but also it is an effortless method as compared to other tools, because of saving a lot of time. • Removing a backdrop from a photo or any object. • Masking-out or hiding background without removing it - useful for designing the catalogue or online shop. • Selecting and editing individual region, or changing the shape of a photo. • Multi-clipping path for selecting specific areas within a photo - useful for color correction purposes. If your object has hair or fuzzy edges or even transparent, instead of background removal services, FixThePhoto recommend you to use masking. Our photo retouchers are experienced professionals, especially in using clipping path services softwares, like Adobe Photoshop. Using it we use the Pen Tool for defining highly precise clipping path for our clients. For drawing the fine path, our retouchers zoom in the photo by 150% to 350%, depending on the resolution and quality of the raw photo. This allows them to create a suitable number of anchor points, which helps save the correct shape of your object. Excess or shortage of anchor points can end with bad quality cut-out of the photo. Why Online Clipping Path Job at FixThePhoto? Our services work for any clipping path client: from big ecommerce companies who need to submit thousands of images and then publish them in the newspapers, to individuals who only need work done on a few photos. Our team consists of passionate and dedicated photo editors who focus on providing the highest quality images for ecommerce campaigns and individual sellers online. We meet hundreds of people in the creative industry every year. If you want to work in a creative team and want to share your experience then we’d love to interview you – just let us know having sent your resume with a portfolio and receive your clipping path work from home. Do you want to join a creative environment? If your answer is YES, we will be able to find a common language. • Has the Bachelor’s degree in Graphic Design, Digital Design, Fine Art or a related field. • Extraordinary eye for detail and a perseverance when it comes to the photo looking realistic and natural. • Proficiency in Adobe Photoshop CS5/6 and Adobe Bridge. Adobe Lightroom all versions. • Has a vast understanding of product photography and how to correctly retouch the pictures of jewelry, food, equipment, apparel, shoes, etc. • The ability to interpret and perform even the most complicated client instructions for creative clipping path. • Keeps all clients’ deadlines with quality outcomes. 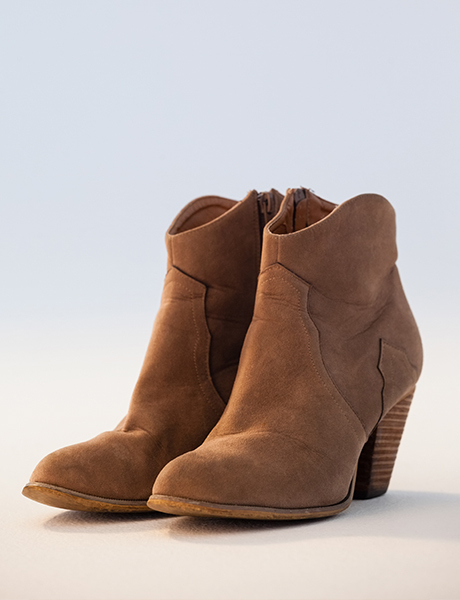 • Has organizational skills and is detail orientated, which are extremely important requirements for online clipping path job at FixThePhoto. • Has color correction experience and knowledge of studio photography, batch processing and silhouetting. • Must be a quick study and be able to take directions. All applicants to FixThePhoto, a clipping path service provider, are considered for employment without any groundless prejudice, such race, religion, gender etc. You must be comfortable in a fast-paced environment and adaptable to change. We are looking for a confident and motivated team member, who is able to find the new ways for improving workflow, and who is willing to lead by example. • Changing the photos’ sizes, cropping in Adobe PS. • Edit and process the minimum number of daily orders set by the direct manager. • Creation of digital image composites for online packages. • Performing tasks repetitively, consistently, and accurately. • Maintaining high volume photo retouching. • 3+ years product and lifestyle photo retouching and asset management experience. What do You Need to Send a Clipping Path Job Resume? Except filling in the basic information about you and your working experience, you should attach your before/after examples. Here are free and raw photographs for you to experiment and show your clipping path skills in Photoshop. Download these RAW files, apply clipping path technique, and send us clicking on the “Sing Up” button below. The more high-quality your outcomes are, the more chances you have to receive a well-paid online clipping path job at our company. Our clients range from big brands and pro photographers to startups and local companies. That’s why our retouchers have strong color correction skills, matching images from different cameras and sets, and high level of clipping path in Photoshop. These are the before and after photo retouching examples with clipping path services. All photos were made by our retouchers. This is the level of work we need from you. Please, send us the photos like on the examples below. We appreciate the photographs in high resolutions, RAW image and the edited photo. Also we have included a few tutorials to help you refine your skills. Learn how to apply natural-looking and creative clipping path to the product photos in Photoshop. If you are interested in trending photography and photo editing techniques, tips, competitions, equipment reviews, follow our blog, read the latest news, become the part of a big FixThePhoto team right now. We offer the following freebies for your successful results in product clipping path outsource job. Just download some great free Photoshop actions and overlays, textures, Lightroom presets and more, without registering on our site. Write your email address and get our tools for inspirations free and within 2 minutes.